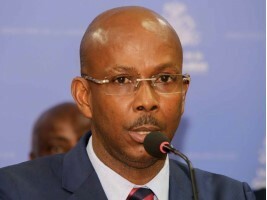 PORT AU PRINCE, Haiti, CMC – The Government Haiti on Thursday announced the appointment of Jean Michel Lapin as interim Prime Minister. The Ministry of Communication in a message via social media on Thursday said Lapin was appointed until the formation of a new government. However, no date for when he assumes the role has been communicated. On Monday, 93 deputies out of 103 voted in favor of removing Prime Minister Jean-Henry Ceant. He has not yet left office, saying he was waiting for the final decision of the Senate. Six months after he was sworn into office, the government of Prime Minister Jean-Henry Céant was forced out of office Monday after the Lower Chamber of Deputies voted overwhelming to remove him from office. “The Government of Jean Henry Céant received a motion of censure from the Chamber of Deputies with 93 votes in favor, 6 against and 3 abstentions,” the Chamber of Deputies announced just after midday on Monday.